Washington – Yale Law School professor Akhil Reed Amar warned Democrats on the Senate Judiciary Committee Friday to rethink their opposition to Judge Brett Kavanaugh’s candidacy to the Supreme Court. “Be careful what you wish for,” Amar said. “If you torpedo Kavanaugh, you’ll likely end up with someone worse. Democrats oppose Kavanaugh’s confirmation because they believe he would tilt the Supreme Court to the right for decades. Amar reminded Democrats they are in the minority in the Senate and would likely not be able to block another candidate President Donald Trump might appoint to the high court who could be more of a threat to liberal ideals. Amar, one of the nominee’s law professors, was one of 10 witnesses — five for Republicans and five for Democrats – who testified Friday on the fourth day of marathon hearings before the Senate Judiciary Committee on Kavanaugh’s nomination to the seat of retiring Justice Anthony Kennedy. 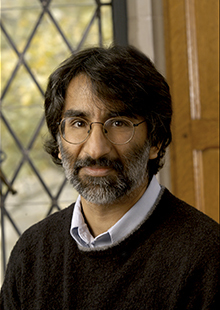 Although he describes himself as a liberal constitutional law professor and Democrat who voted for Hillary Clinton in the 2016 presidential election, Amar wrote an op-ed for the New York Times in support of Kavanaugh’s confirmation, causing a stir at the nominee’s alma mater. But Kavanaugh’s nomination also prompted about 175 law school alumni and students to sign a petition condemning a press release issued by Yale that promoted Kavanaugh’s accomplishments. “He is a threat to many of us, despite the privilege bestowed by our education, simply because of who we are,” the petition said. On Friday, Amar told Judiciary Committee members that Kavanaugh, 53, was the best among the White House’s list of candidates for the job. Amar also defended Kavanaugh as a “originalist” judge — one who interprets the Constitution as it was ratified in 1788 — who is also an avid student of history and able to consider changes in society when he makes his decisions. 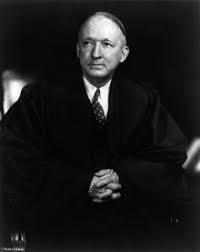 Black was a former Democratic senator, appointed to the Supreme Court by President Franklin D. Roosevelt, who became a dependable liberal vote on that court for decades. Black was also a member of the Alabama Ku Klux Klan before he was elected to the Senate, wrote the majority opinion in Korematsu v. United States, which upheld Japanese interment during World War II. He also determined there was no right to privacy in the Constitution, voting against the Griswold v. Connecticut case that gave women the right to use birth control. The long list of witnesses testifying at Kavanaugh’s hearing Friday also included Rochelle Garza, an immigration attorney who served as legal guardian to Jane Doe, an undocumented 17-year-old who wanted an abortion in Texas and sued to leave government custody and terminate her pregnancy. Connecticut Sen. Richard Blumenthal, a member of the judiciary panel, asked Garza if Kavanaugh’s insistence that the teen consult with a third party before deciding to have an abortion was a harmless delay — as the nominee says — or had any “real world” consequences. As a member of the D.C. Circuit Court of Appeals, Kavanaugh argued the court should not have to “facilitate” the abortion, and argued that the girl should first be transferred from government custody to an adult sponsor before ending her pregnancy. Garza said if there had been a further delay, the teen “could have had a child against her will.” She also said the 11-day delay resulted in the need for a surgical abortion, instead of a simpler medical procedure, to end the pregnancy.